Former FIFA chief Sepp Blatter first mooted the idea in 1999, without earning enough support to get the plans off the ground, but the South American federation has re-submitted the notion to hold the event on a biennial basis. The tournament is set to expand from 32 teams to 48 for the 2026 finals, but Dominguez is hoping to affect an even greater change, in the hope that it would give players an increased chance of featuring on football's grandest stage. "I never say no; I always say, why not?" he said. "We always wanted to have a global Nations League, and we always will support an idea like that, or a proposal as we have made to FIFA, which is to do the World Cup every two years and not every four. "Instead of having a Nations League in between, we can just go ahead and do a World Cup every two years. "If we stay with this format, many players could not play more than two. So we see an opportunity there. 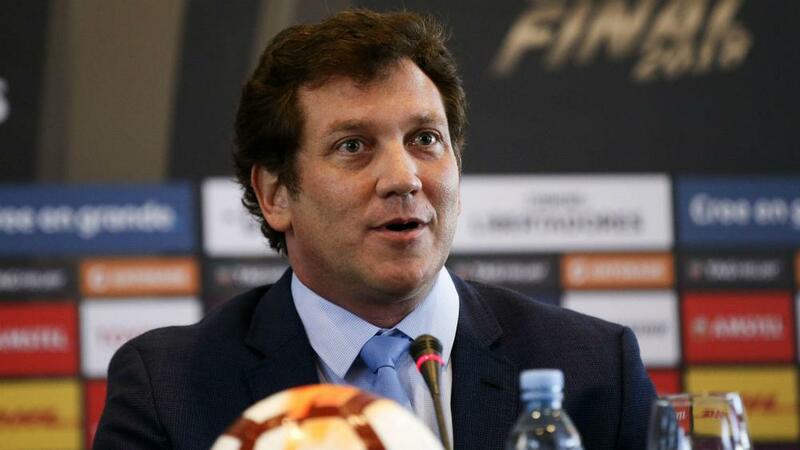 "There is a proposal put forward to FIFA to take it over, and say whether it is a global Nations League or whether there is an opportunity to play the World Cup every two years."